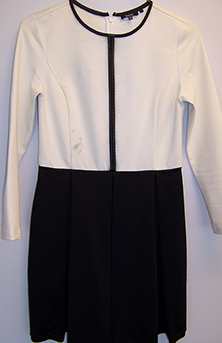 The Garment:A ladies dress with a black skirt and a white top with black leather ribbon trim. 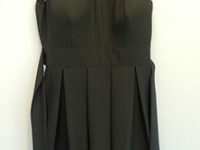 The fabric is a blend of rayon, nylon & spandex. 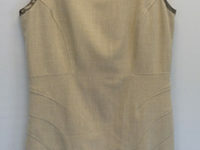 The care label states: “Dry Clean Only” with corresponding International Code Symbols indicating regular drycleaning in any solvent. 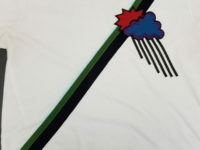 The Problem:During proper professional cleaning by any approved method, as labeled, the black leather trim dye bleeds, resulting in fading and transfer of black dye onto the white fabric. 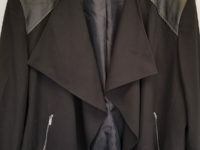 Who’s Responsible?The manufacturer since the black leather trim was not able to withstand any standard professional drycleaning operation without risk of bleeding, fading and adverse dye migration.